This edition of Whitewaller Dallas celebrates the tenth edition of the Dallas Art Fair. It’s been incredible to follow the story of Dallas’s art scene over the past decade. Dallas is home to some of the top museums in the country—such as the Nasher Sculpture Centerand the Dallas Museum of Art—as well as some of the most prominent collectors of contemporary art—like Howard and Cindy Rachofsky. We’ve seen the transformation of Downtown Dallas, with neighborhood cultural anchors like The Joule hotel and Forty Five Ten, as well as new exhibition spaces like The Warehouse and The Power Station. 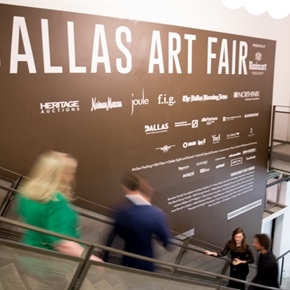 This year, we hear from Dallas Art Fair director Kelly Cornell about the fair becoming more and more international, from the artist Marc Quinn about the annual MTV RE:DEFINE gala, from the artists and curators who helped select Isa Ghenzken as this year’s Nasher Prize winner, from the artist Tony Matelli about his installation at The Joule, and more. We’re thrilled to have as our guest editor Lisa Runyon, founder of Runyon Arts and chair of Dallas’s annual TWO x TWO for AIDS and Art fundraiser. She shares with our readers her side of Dallas, alongside Insiders like Megan Wood, Jennifer Klos, and Adrianna Cole. In the rest of the issue, you’ll get the full rundown on all the top exhibitions open this week, a breakdown of the city neighborhood by neighborhood, and the best spots to grab a bite, drink, or perfect new item to bring home. There’s a lot to see and do in Dallas this week, and Whitewaller has something for everyone.